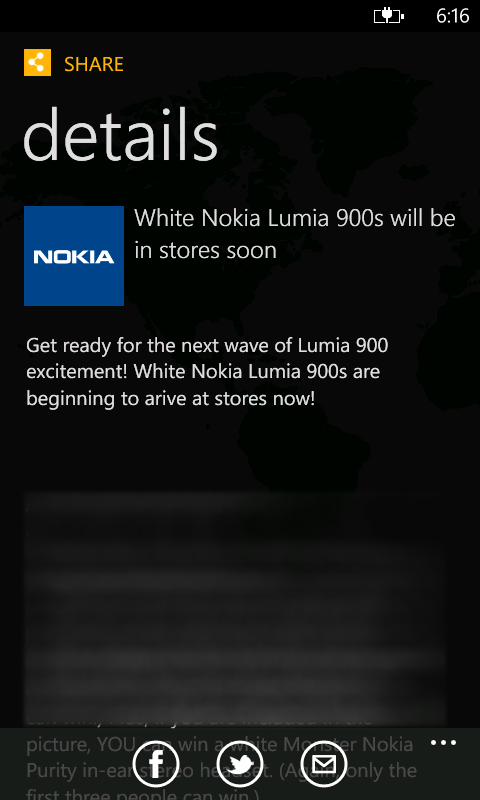 Since yesterday (when we first heard about the awesome news), the elusive white Nokia Lumia 900 Windows Phone is already available at most AT&T stores ahead of the April 22nd release. 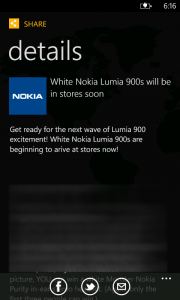 The white Lumia 900 is available at the same price as all other colors, $99.99 for all new customers/upgrades. For no commitment the price is $449.99. Go get one for yourself while they’re still white! Price starting at $99.99 for new/upgrade customers! I dropped my cyan and it dented at the corner, so I used my nail file and filed it down…..looks perfect. Try doing that with any other phone!